A man with autism has filed a disability discrimination lawsuit against a fast-food restaurant chain and its parent company, alleging he was denied a job due to his disability. 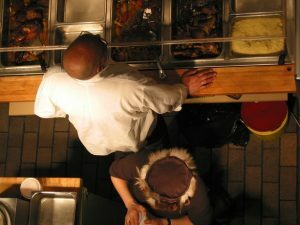 The lawsuit, filed in Illinois where the incident occurred, alleges the 25-year-old had recently completed a work-study program at a different restaurant in late 2013. The manager who oversaw his duties reported he worked capably and diligently, but the employment ended when the work-study program had finished. At that point, plaintiff hired a job coach to help him find a full-time job. The following summer, both he and his job coach went to a Chick-Fil-A restaurant and requested an application for employment. At the time, the manager was not available. Later, the job coach went back to the restaurant and talked to the manager. It was at that time she allegedly informed the job coach that the restaurant was, “Not interested in hiring people with disabilities,” adding that those with challenges such as what plaintiff faced “do not succeed” in their company atmosphere. Such actions, if true, are undoubtedly illegal and contrary to the protections outlined in the Americans With Disabilities Act. The ADA bars discrimination against those with disabilities in sectors of public accommodations, transportation and employment. It was signed into law in 1990 and ensures equal opportunity for individuals coping with disability. Job discrimination against those with disabilities is illegal, and applies to private employers (like this chicken sandwich chain), state and local governments, employment agencies, labor organizations and labor management committees. Since 1994, it has applied to all employers with 15 or more workers. The ADA doesn’t guarantee jobs for those with disabilities. The worker still has to be able to carry out the essential functions of the job, with or without reasonable accommodation. That means you must meet the necessary requirements (i.e., have the right skills, experience, education or licenses) and you also have to be able to perform the essential functions of the job even without any reasonable accommodation. It’s only when the disability prevents you from performing duties that are not essential to the job that employers can’t refuse to hire you on that basis. A modified or part-time work schedule. Making the workplace readily usable by people who have disabilities. Employers are expected to provide reasonable accommodations to disabled applicants who are otherwise qualified unless the company is able to show that doing so would cause an undue hardship. An undue hardship is one that would result in significant expense or difficulty to the company. Our Orange County disability discrimination attorneys are dedicated to helping workers with disabilities fight for fair opportunities in the workplace.